Okay, this might be the game that does it. Red Dead Redemption II just feels like the sort of game that I need a PlayStation Pro for. 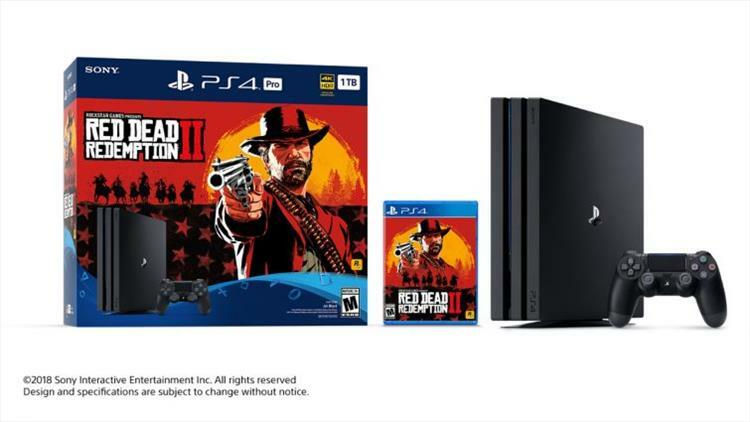 Sony announced this morning that they will be offering a new PS Pro Bundle that comes with a shiny copy of Red Dead II. According to the post on the PlayStation Blog, "this bundle includes a 1TB Jet Black PS4 Pro system, a DualShock 4 wireless controller and Red Dead Redemption 2 on Blu-ray disc. This bundle will be available across the U.S. and Canada for $399.99 (MSRP) / $499.99 CAD (MSRP). Pre-orders start today." Pre-orders start today! At that price point, it's pretty much like getting Red Dead II for free. Though it would have been nice to get a fancy, limited edition PlayStation in this bundle, I would probably be just as happy switching out my current PS4 for a Pro that looks just like it. What my wife doesn't know won't hurt her, know what I'm saying?